Potholes are budget busters. They are permanent, unending cost items. 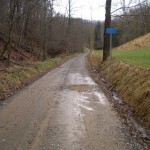 Every road gets them sooner or later—usually in the same place. To solve this apparently permanent problem requires a real change. Mechanical Concrete® is simple, inexpensive solution that virtually eliminates pothole. It does this by eliminating the cause—lateral failure of the underlying material. Mechanical Concrete® saves $$$$ now and tomorrow. 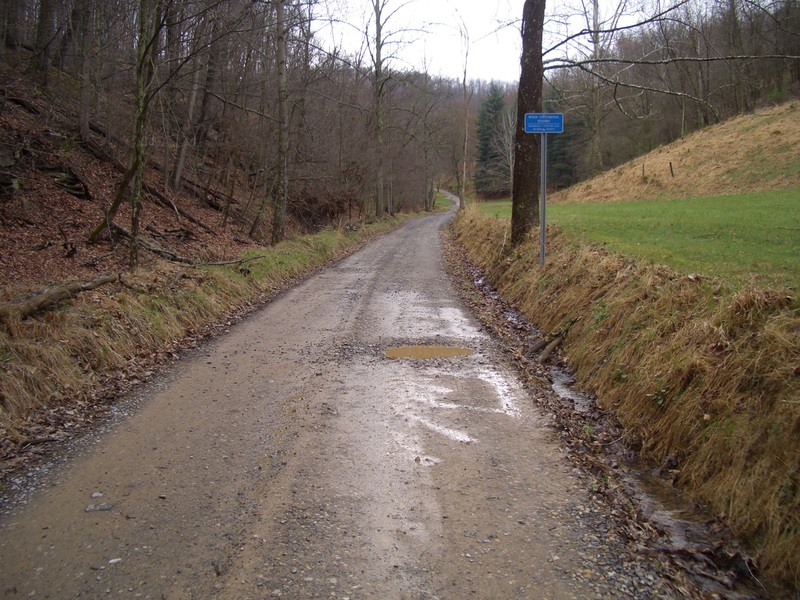 PHOTO Rural public road in Doddridge County, WV shows a classic pothole at the beginning of a Mechanical Concrete® test section. (Sign is start point) This 7 year old test bed is pothole free.